This ultimate 4K HDR set-up by Sony will make you feel like you are at thecinema in your own home. 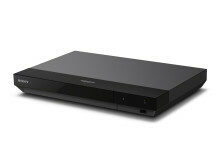 Adding to its current range of 4K Ultra HD Blu-ray Players, the UBP-X700 delivers a much wider range of colour, contrast and brightness than standard Blu-ray players, making the picture much closer to what you see in real life. 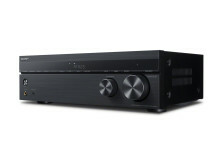 Sony is proud to extend its already well-established home theatre range with the new AV Receiver, the STR-DH790. 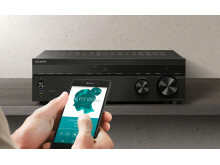 It offers a flexible 5.1.2 Channel configuration with Dolby Atmos and DTS:X support, delivering a mighty cinematic surround sound that adapts to you and your environment. Experience 4K Ultra HD Blu-ray playback to show everything in finer detail than ever before, letting you feel like you’re seeing the real thing right there in front of you. Optimising the way the HDR picture is delivered from your player to your TV screen, the X700 will support HDR10 and Dolby Vision for ground-breaking detail, colour and brightness. The DH790 also has HDR10 and Dolby Vision Compatible features. The combination of the X700 and the DH790 offers you a new realm of sound preserving picture quality. For genuine cinema sound to match the lifelike picture quality, connect these two together and you’ll hear startling clarity all around you. The DH790’s support for Dolby Atmos and DTS:X allows you to fill the room with sounds above and around you, such as lightning crackling in the sky, or sirens wailing past you through city streets, thanks to your 5.1.2 channel set-up. Watch whatever you fancy, as the X700 lets you access a world of 4K streaming services at your fingertips. From Netflix™, Prime Video™, and YouTube™ there is a wide range of content to choose from. 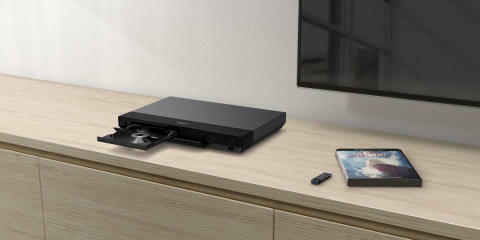 This 4K Ultra HD Blu-ray Player also supports a number of high-quality video and music formats, including MP4, DSD, FLAC, and more. Both the X700 4K Ultra HD Blu-ray Player and the DH790 AV Receiver have slim, compact bodies that fit seamlessly into your home. 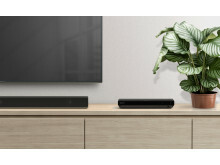 Designed with the average living room in mind, the DH790 makes it easy to figure out your speaker setup thanks to its Advanced D.C.A.C (Digital Cinema Auto Calibration) automatic speaker setup system. With the use of a plug-in provided microphone, the Advanced D.C.A.C uses a series of test tones to determine the proper speaker levels, based on the detected placement of speakers in relation to the acoustical properties of your room. The UBP-X700 model will be priced at approximately €270 /£270 and available from January 2018. The STR-DH790 model will be priced at approximately £400 and available from spring 2018. 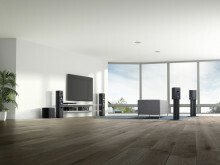 SS-CSE: Dolby Atmos enabled speaker, designed exclusively for Dolby Atmos, and setup is easy as well.